What are the Costs Associated with Paying for Cancer Treatment? What are the costs of cancer treatment? If you or a loved one has been diagnosed with cancer, getting the best treatment and care should be your top priority. The cost of cancer treatment can be prohibitive. Individuals with inadequate health insurance and limited resources, struggle to come up with the money to pay out of pocket cancer costs. Even those with very complete health insurance plans can have thousands of dollars in out of pocket cancer costs. Medicare and private health insurance do cover a substantial part of the cost of cancer treatment but patients are still responsible for copays and meeting the deductible. It is still too early to determine what effect the full rollout of the Affordable Care Act will have on deductibles and copays. Many cancer patients will have high deductibles and even higher copays on some of the cancer drugs they need to stay alive. If you do not exceed maximum allowable income levels, you may be able to have some of your out of pocket cancer costs paid for by Medicaid. Individuals who can not qualify for financial assistance from the state-run program may be able to get help through private foundations and charitable organizations. Most hospitals have an indigent patient program which can reduce the amount you otherwise might owe. All of these programs have their limitations. There are limited funds and a lot of people in need. It can be difficult to get approved for assistance and you usually must apply every year to see if you can continue receiving assistance with your out of pocket medical expenses. 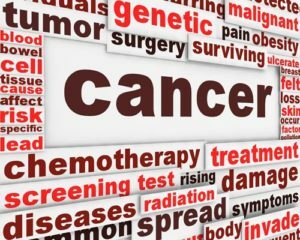 Cancer patients with life insurance policies may have hidden value in those policies that they can access through life settlements. Patients with terminal cancer or who have suffered a major setback in their health, may be able to sell their life insurance policies in the secondary market for insurance. These life settlement options could include a viatical settlement, a life insurance loan, or a medicaid life settlement. In order to find out if this is a good option for you, it is important to have your life insurance policy valued. A viatical settlement provider will evaluate your policy and then, based upon your health and life expectancy, let you know how much they are willing to pay to buy your policy and become the beneficiary of that policy. Viatical.org provides a free service to you, we provide an estimate of the value of your life insurance policy here, so you know what it is worth in the secondary insurance market. Viatical settlements can help make life a little easier for cancer patients and their families. Each individual situation is different and there are many things to consider before making any decision. It is always best to talk with a financial adviser who fully understands how a viatical settlement works and all of the implications of agreeing to sell your life insurance policy. Drugs, radiation treatments, surgery and many other costs associated with a patient who has cancer, can be incredibly expensive. Provenge, which is used by patients with late-stage prostate cancer, costs $93,000 for three treatments. A series of radiation treatments can cost tens of thousands of dollars. Paying for cancer treatment can devastate the finances of a family. What are the costs of cancer treatment today and what will they be in the future?